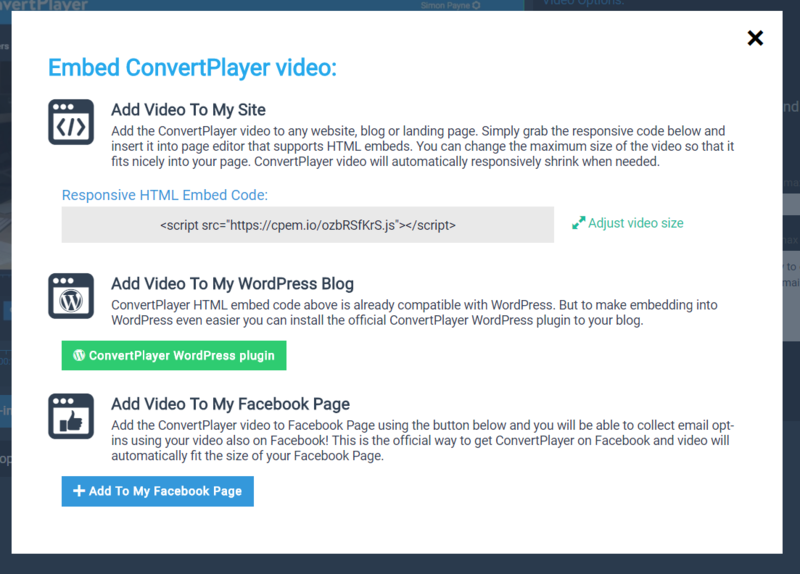 Use this method if you don't want to use the official ConvertPlayer WordPress plugin or if you have issues with it's installation. 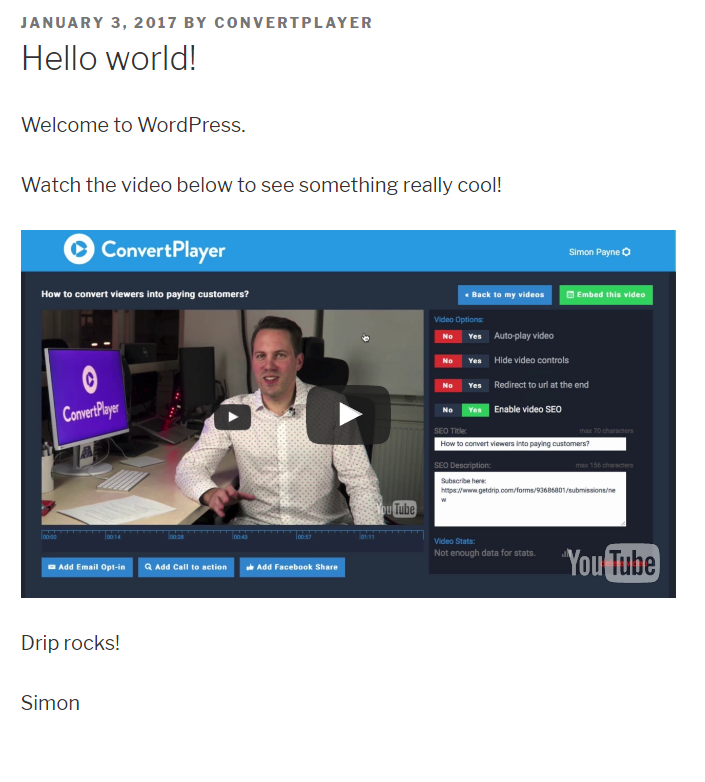 ConvertPlayer is 100% compatible with WordPress even without plugins and below we show you how to use ConvertPlayer without using our WordPress plugin. 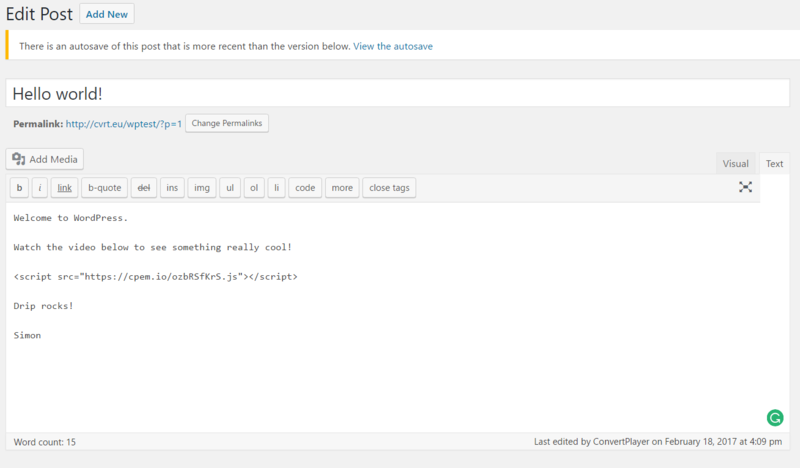 Click on embed video and copy the text from "Responsive HTML Embed Code". Go to post editor and paste the text in the place, where do you want your video to be placed. Keep in mind that you need to do it in the TEXT mode of the post editor.